From homework and tests to extra-curricular activities, students already shoulder plenty of weight during back-to-school time. Their backpacks should be the least of their worries. 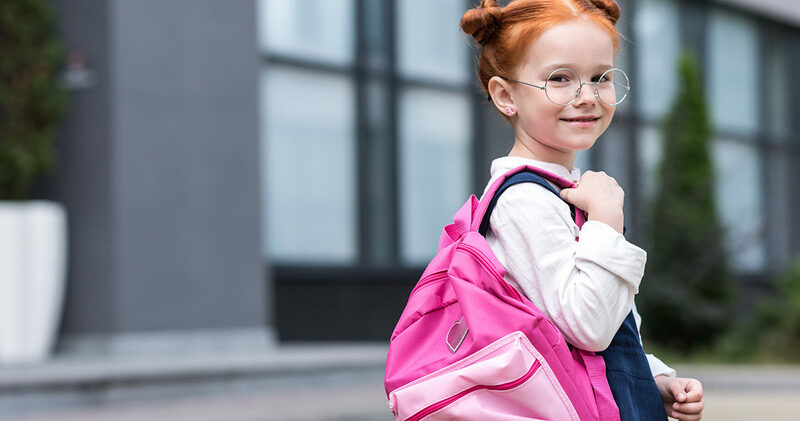 Unfortunately, due to the lack of awareness or simple disinterest (or both), backpacks can pose a health risk to kids and students of all ages. “Wearing a backpack incorrectly or wearing one that’s too heavy can be a contributing risk factor for discomfort, fatigue, muscle soreness and pain, especially in the lower back,” said Karen Jacobs, EdD, OTR/L, CPE, an expert on school ergonomics and the healthy growth and development of school-age children. The American Occupational Therapy Association estimates that about 79 million students across the U.S. carry school backpacks. Among these, nearly 22,000 strains, sprains, dislocations and fractures – ailments caused by improper backpack use – were reported by medical providers in 2013, according to the U.S. Consumer Safety Commission. “I put backpack problems into the ‘overuse injury’ category,” said pediatric orthopedist Robert Bruce of the Emory School of Medicine. “Many attribute their back pain to heavy book bags.” And while weight is certainly a key factor, the way backpacks are designed, lifted and worn can also contribute to discomfort, pain and injury in students. The good news: much of this is preventable. tips for kids, parents and teachers. Choose a pack that’s no larger than 75 percent of the length of your child’s back. Wide straps keep the pack from digging into the shoulders, and a padded back adds comfort and protection. A loaded backpack should never be heavier than 10 percent of a child’s weight. Use multiple pockets and compartments to distribute the weight of the items inside the pack. Keep heavier items closer to your child’s back, while light and/or sharp items (pens, scissors, etc.) should be stored away from the back. Teaching your child about proper lifting will offer a lifetime of protection for his/her back. Children should always lift their backpack using their knees, not their waists. Insist your child always carry his or her pack using both shoulder straps, with the sternum strap and hip belt (if part of the pack) tightly secured. Adjust the shoulder straps so the backpack rests snugly against the back, below the shoulders yet above the hips. Signs your child’s backpack is too heavy or not fitted properly include difficulty picking up and/or putting on the pack, pain when wearing, tingling or numbness in the arms or legs, strap marks left behind on the shoulders, or a change in posture while wearing the backpack. Certified Athletic Trainers are specially trained to prevent injury, reduce pain and restore mobility. Seek the advice of an ahtletic trainer to learn more about properly selecting and wearing a backpack. Everyday Health: Is Your Child’s Backpack Causing Chronic Back Pain? By submitting your information you're opting in to receive exclusive discounts, news, and new product information from Blue Skyes Massage & Wellness Center. Thank you!